Lauren Juliff is a freelance writer and full-time traveler who has been exploring the world on a permanent basis since 2011. She has lived in England, Mexico, Thailand, Vietnam, and the United States. She is a travel blogger at Never Ending Footsteps. 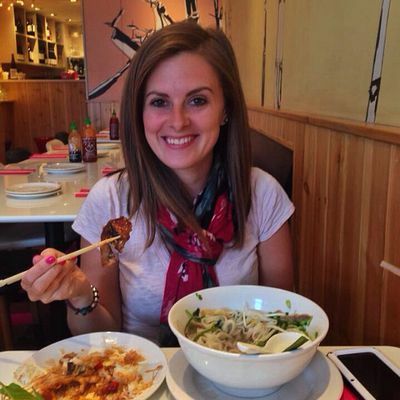 Lauren Juliff is a former writer for TripSavvy. She spent the majority of her college years attempting to balance student life with a burning desire to explore the world. When she wasn't studying, she was either saving up for future travel or making use of student discounts and jetting off to Europe. After graduating with a master's degree in physics in 2011, Lauren left England on a one-way ticket and is still traveling the world with no plans to return. She has spent time living in Mexico, Thailand, Vietnam, and the United States and visited 82 countries across five continents. Lauren has walked on the Great Wall of China and explored the ruins of Angkor Wat, camped under the stars in the Sahara Desert and hiked across a glacier in New Zealand. She has eaten duck tongue in Taiwan, lizard in Vietnam, kangaroo in Australia, and cockroaches in Laos. She learned to surf in Bali, rode a camel in Morocco, flew in a hot air balloon over Slovenia, and sailed a yacht around the coast of Turkey. Lauren did her A-levels at Richmond upon Thames College in London and earned a master's degree in physics from Royal Holloway, University of London. "How Not to Travel the World: Adventures of a Disaster-Prone Backpacker"